You’re in for a treat today! 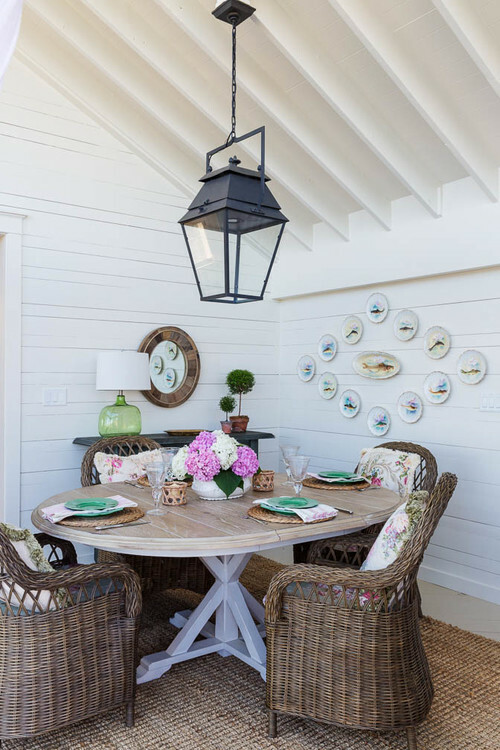 We’re touring a charming beach house decorated in flea market style. 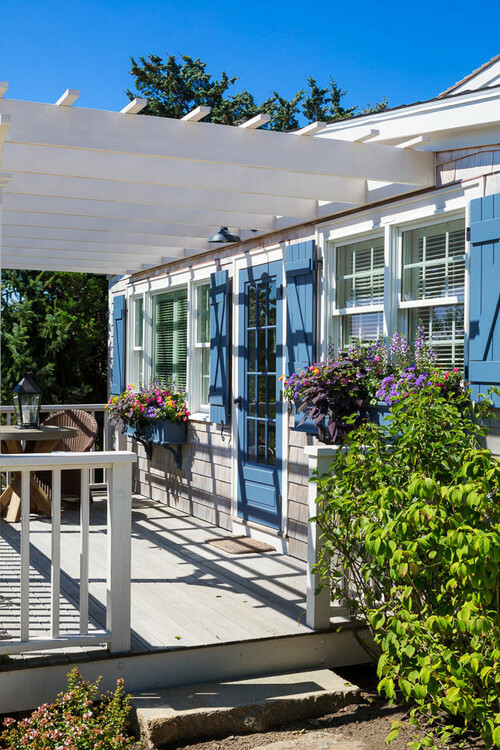 Fun colors and repurposed items come together to create an appealing and comfortable cottage by the sea. 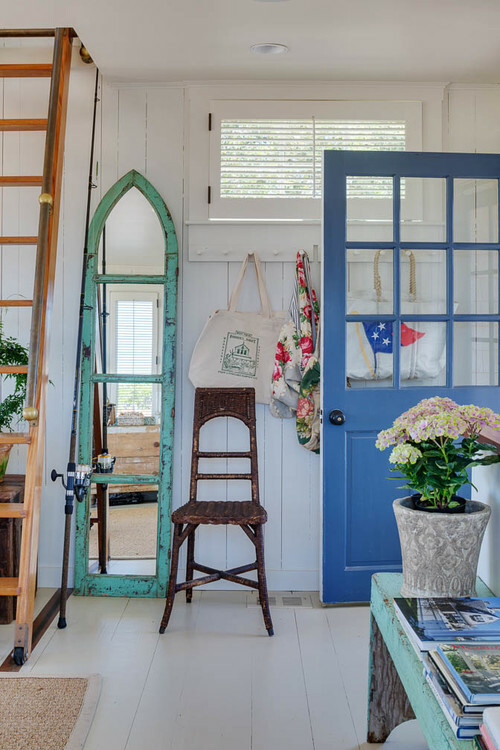 A pretty blue door opens into the entryway of the seaside cottage. A pegboard provides a convenient place for hanging bags after coming in from the beach. The open concept kitchen and living area allows light to fill the space, creating light and airy appeal. 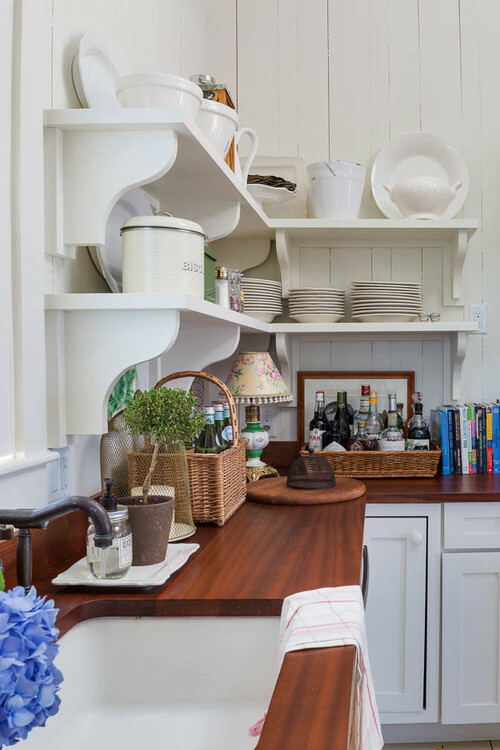 The kitchen is on the small side but makes great use of storage space with open shelves. 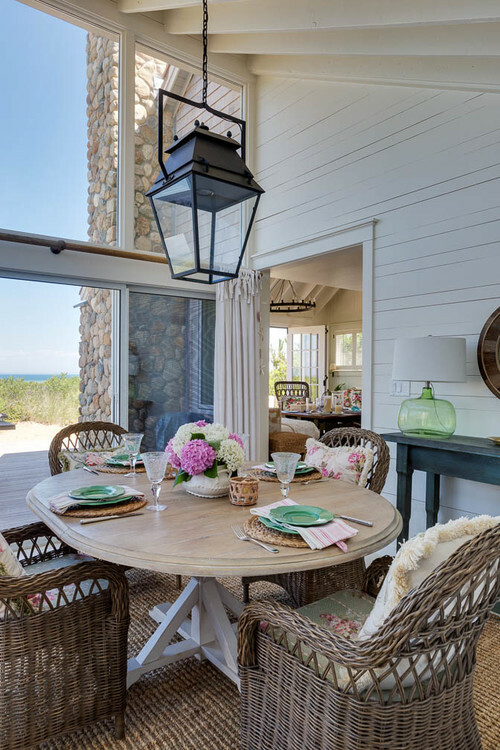 Adjacent to the kitchen and living room is a dining room with an awesome view of the beach and water. 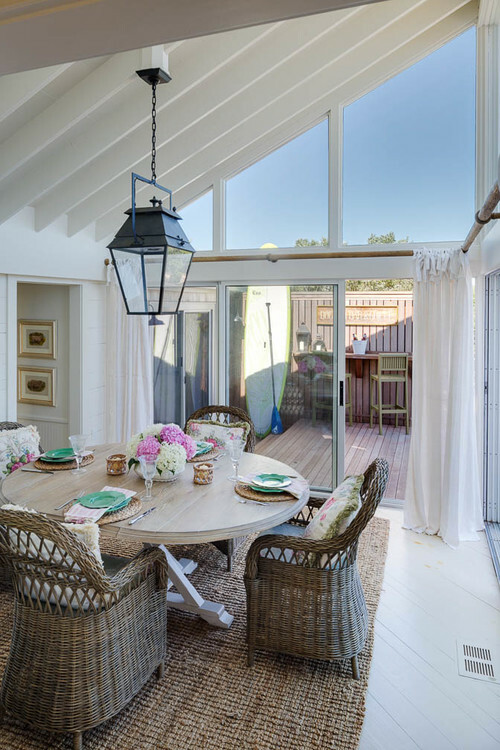 On the opposite of the dining room are more glass windows with a door leading out to the deck. 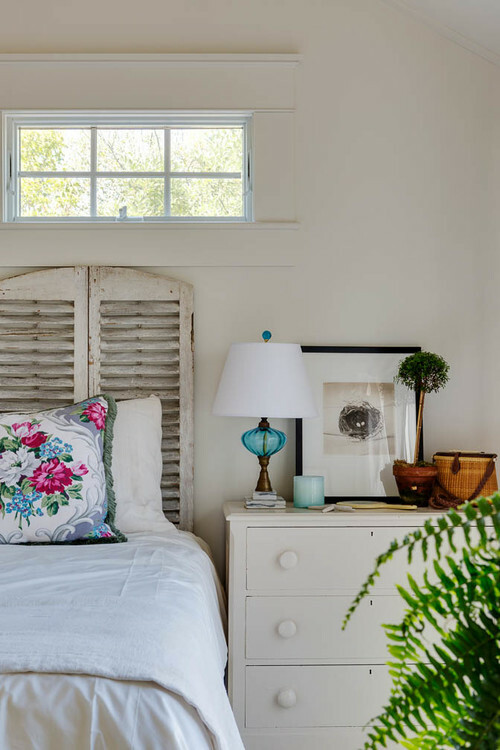 Reclaimed shutters in one of the bedrooms act as a headboard. 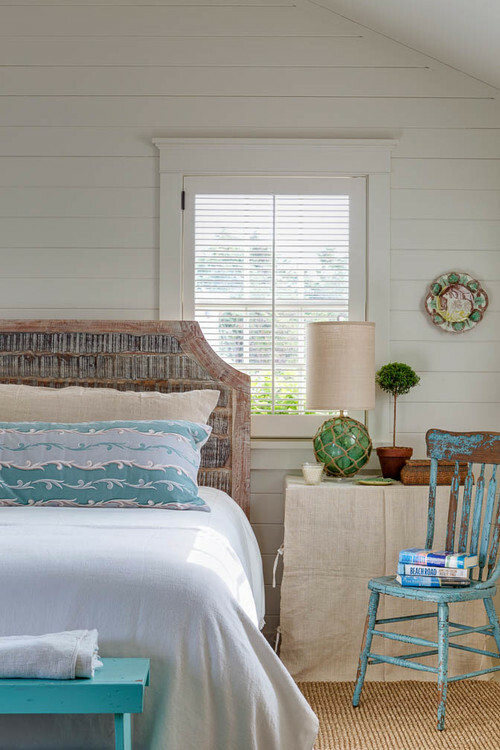 A chippy blue chair acts as a night table in a cottage style bedroom with a rattan headboard. 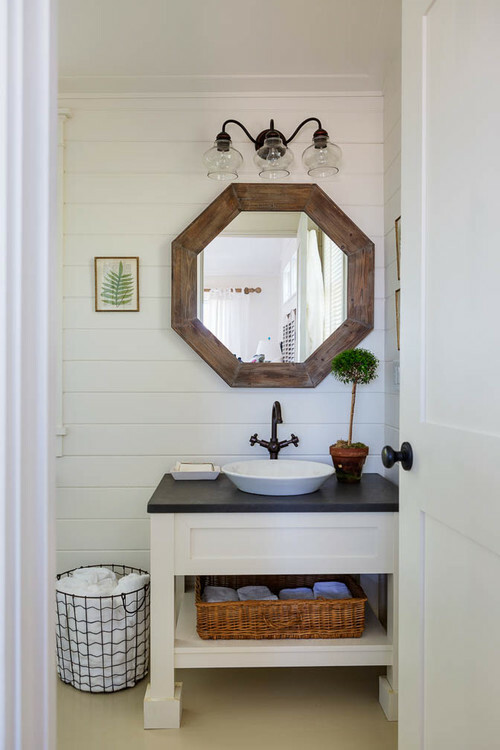 A custom vanity and shiplap walls add a farmhouse vibe in the bathroom. Another equally pretty bathroom in the beach house has charming cow prints on the wall. And outside, you just can’t beat this view! There’s a second, smaller cottage on the beach property. 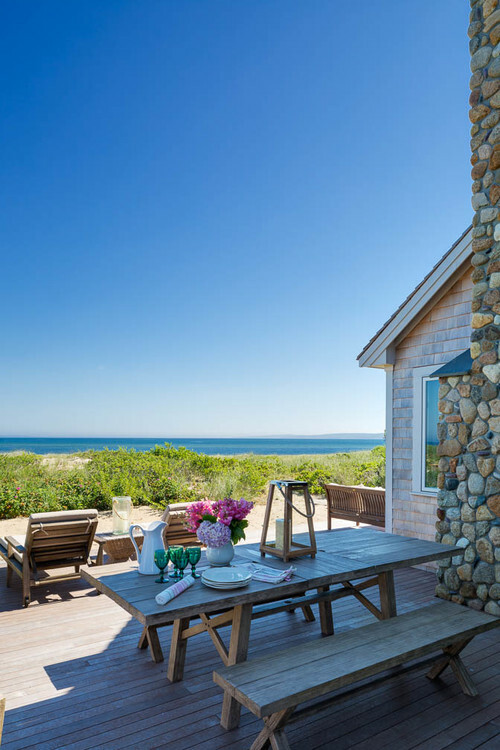 You can see more of both beach houses by Patrick Ahearn over at Houzz. WOW ! 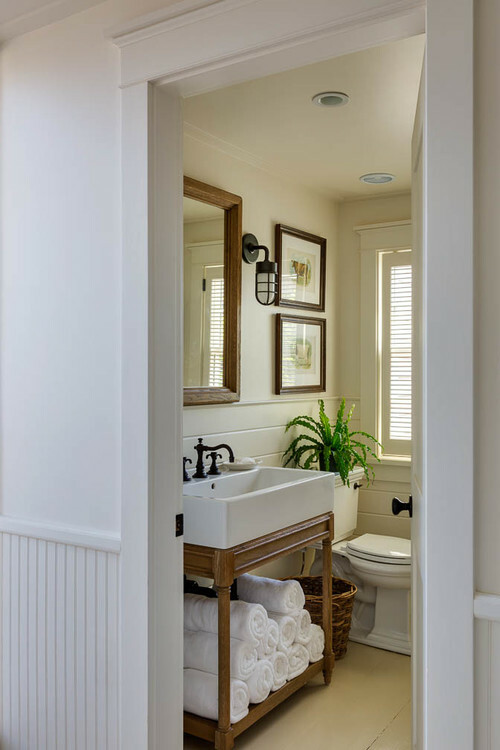 What’s not to love….Light, airy , fresh and flooded with natural sunlight. Yup, I could easily live there. The whole place makes me feel happy !! 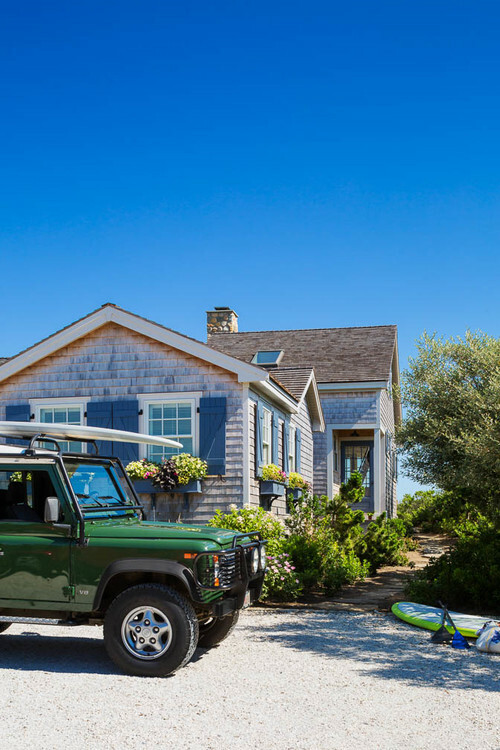 Absolutely my dream beach cottage. Very bright and cheerful plus a fun place to entertain. Thanks for posting all the lovely homes. I could stay here, it’s such a cute and cozy,dreamy place. 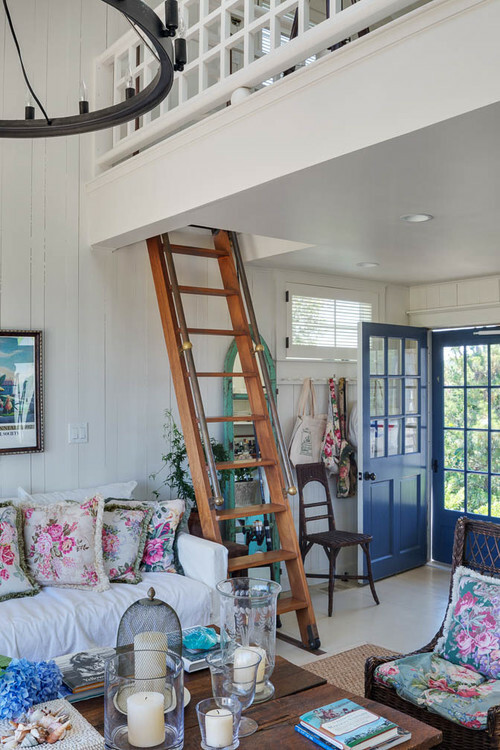 I loved all those throw pillows they used through the cottage, it looked like someones collection of old pillow covers, I don’t know what those flowery pillows are called but i have always thought they were pretty. Is this very far from Okla. and do they rent for the summer?,lol!! I loved everything about these houses! Thanks for sharing. I wish I could stay there! Okay. I could live there, even if it was just with a sleeping bag as furniture. 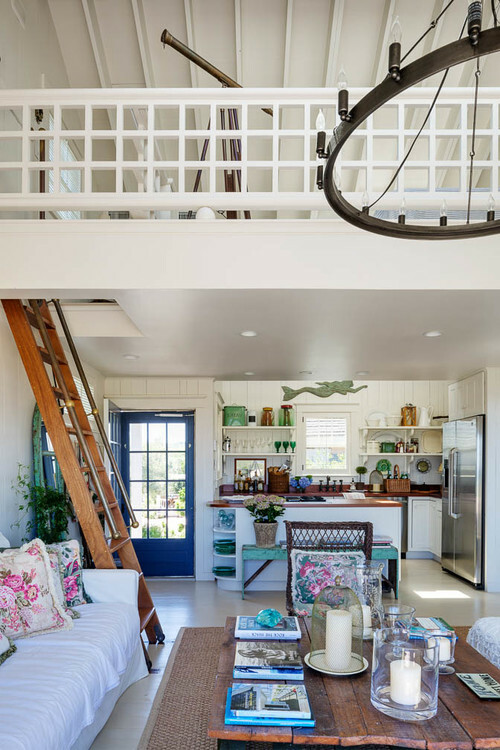 A beach cottage has always been my dream home, and I’ll just have to continue dreaming. Thanks for sharing ….